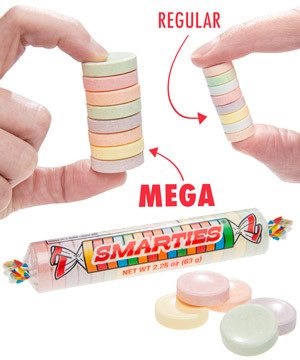 Giant Smarties: Super-sized sweet treat. 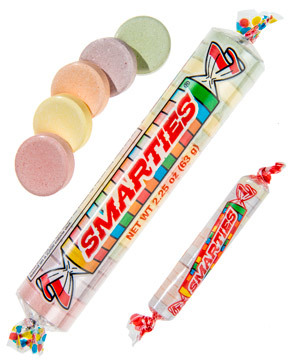 From Halloween to piñatas, Smarties are the classic candy that have been giving kids sugar rushes for generations. This fun confection takes the same great texture and flavor of the original and embiggens it to outrageously large proportions. 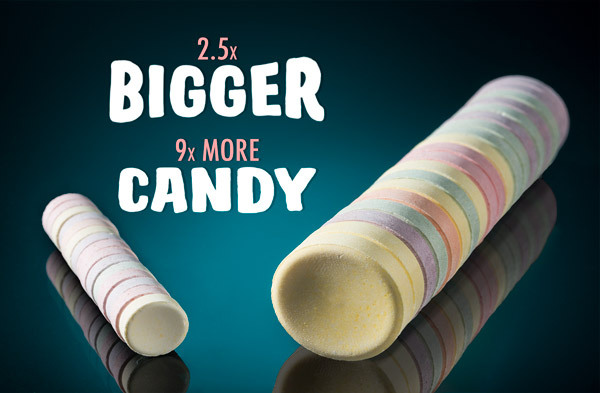 With 20 tablets per roll (as opposed to the original's 15), up to 9 times the heft, and up to 100% increase in length, Mega Smarties are bigger in every way! YUM! 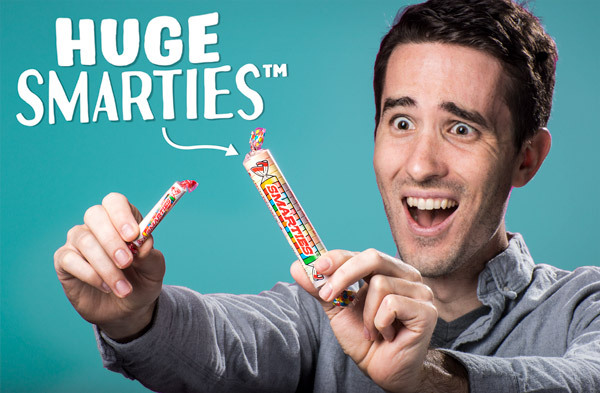 When you unroll a package of Mega Smarties, you'll be double-wowed by the delicious classic flavor and the enormous size of the iconic tablets. These huge hard candies taste just like the perennial favorite because that's exactly what they are… just bigger! If the name Smarties referred to intelligence, the IQ of these candies would qualify for a genius grant! Mega Smarties weigh 9 times more than the original and measure twice as long! Those are some smart Smarties. Answer: Nutrition facts for a serving size of 2 Tablets (7g): Calories 25, Total Fat 0g, Sodium 0mg, Total Carbs 6g, Sugars 6g, Protein 0g. Question: I thought Smarties were candy-coated chocolate? Answer: In some countries, Smarties are like American M&Ms, so to avoid confusion, these Smarties tablet candies are marketed as Rockets there. Just think of these as Giant Rockets.